Hi TP Friends! First off, I would like to greet all of you a Happy New Year! One of the most frequently asked questions here at TechPinas is, “What are the best budget smartphones available in the market?” So as a buyer’s guide to our readers, I will be sharing with you what I think are the Top 5 Budget Smartphones as of Q1 2015. But before we jump to the list, allow me to lay down the criteria for the choices in order to level the expectations. First, I only limited the choices to international brands which have a suggested retail price (SRP or mall-price) of Php 5,000 and below. We recognize that there are customers who prefer buying only from international brands. For supporters of our local industry, there will be another Top 5 Budget Local Smartphones Category in a future article; Don't worry. First-time phone owners or people who are upgrading from a basic or feature phone. Backup phone buyers - People who already own a more expensive flagship device but would like to have a cheaper phone that can be used as a separate handset which they can bring out anywhere (pangharabas na hindi takaw tingin sa magnanakaw). Low-cost - As the cost of producing last year’s hardware is becoming cheaper, capable smartphones from international brands can now be purchased at a very affordable price. We have reached a stage where international brands are now offering smartphones at the sub-5K price category that are already capable of performing common smartphone tasks smoothly such as: basic calls and texts, posting photos and status on social networks, multimedia entertainment, and online messaging and voice over the internet (VoIP), browsing, emails, etc. Reliability - It is a common knowledge that if you want to have an assurance that your purchase will be free from factory defects and experience first-rate after-sales customer service, you should only buy phones that are made by global brands. Low resolution screen - Expect that their screens are not HD quality and will have noticeable pixels. Poor imaging camera capabilities - In order to cut costs, manufacturers also have to limit the specs of both the front and back shooters of these devices by installing cheap camera sensors and lenses. Small storage - Do not expect to get more than 8GB at this price range, although most phones have microSD card slots to allow users to expand their internal storage capability. Among the top 5 choices, the THL brand is the least known internationally, because it is relatively new in the smartphone market. The Chinese company tries to establish its brand outside of China by offering great value for money handsets in developing markets such as the Philippines. Their product line-up includes this entry-level device, the T6S. 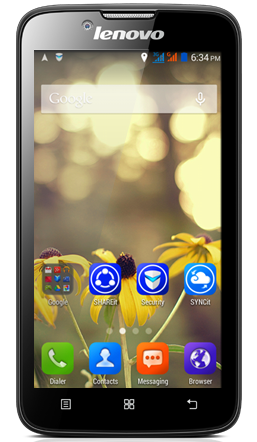 For the price of Php 3,999, you get this Quad-Core device with a flagship-standard screen size of 5.0” and a 5MP camera with flash. What’s really compelling is that, Novo7Tech - the official and exclusive distributor of THL smartphones in the Philippines - has customized THL handsets with their pre-installed Hydroid UI. 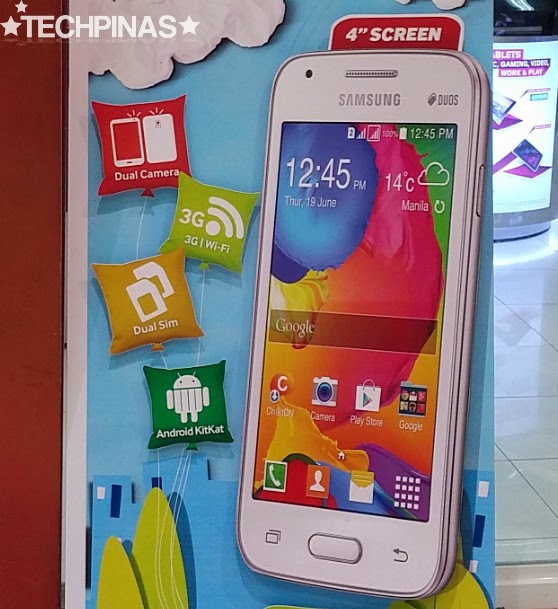 This is a custom ROM developed by a Filipino team of developers. The UI provides various optimizations such as internal storage partition and it is rooted out of the box. More information about the T6S here. Priced at Php 4,990. The Samsung Galaxy V’s specs will not impress you. It has a 4.0” screen, a single core processor, and comparably small internal storage. However, what you’re getting is a phone with a smooth user interface, high quality call reception, and the Samsung brand, which could be seen as an assurance of the quality of the product you are getting. More information about Samsung Galaxy V here. ASUS is a relatively new player in the smartphone market, but it created shockwaves felt all over the tech industry by releasing its Zenfone lineup of smartphones with great specs at unbelievable price points. 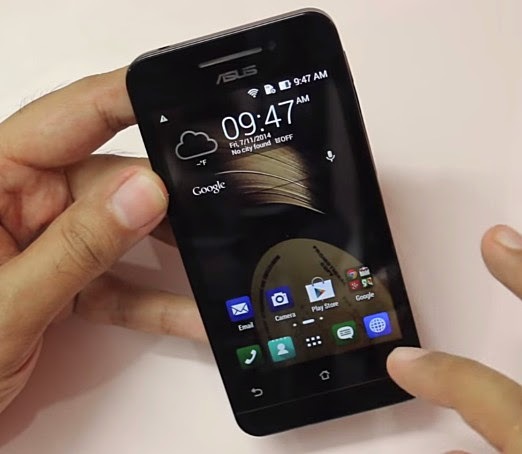 Its entry-level market offering is the Zenfone 4. At Php 3,999 you get a solidly crafted smartphone with a 4” screen made of scratch-resistant Corning Gorilla Glass, an auto-focus camera, and the buttery smooth Zen UI. These features are previously unheard of at this price. Read more about the Zenfone 4 here. Lenovo, one of the top mobile phone manufacturers in the world, offers Lenovo A328 now at a discounted price of Php 4,990. For this price, you get a fairly large 4.5” screen, 5MP camera with flash and a big 2,000mAH battery. Among the choice of budget smartphones, this is also the one with a 2MP front-facing camera, which is good for taking selfies. 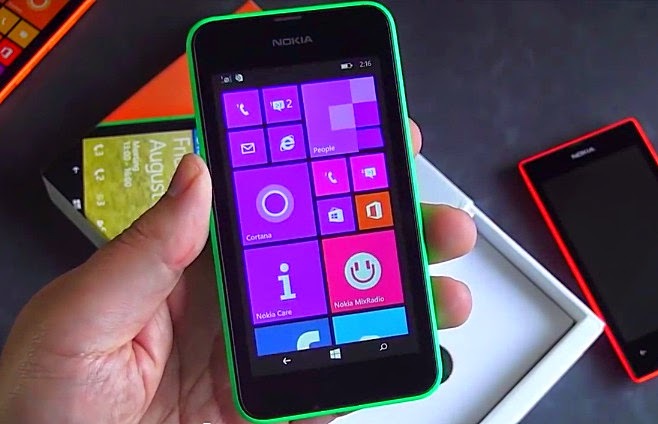 The Microsoft Lumia 530 is the only choice among the top 5 that is not running on Android. This device runs on Windows 8.1. Unlike Android OS, Windows Phone does not require top-notch hardware to be able to provide a smooth UI experience. Although one issue that has been troubling Windows is the small number of apps available in the Marketplace. Another deal-breaker is the absence of the front-facing camera which, nowadays, is an important feature for those who want to take selfies or use it for video calls. One good thing is that Microsoft now offers the Lumia 530 at only Php 3,990. Find out more about the Lumia 530 here. So the question now is: Which one among the top 5 choices should you buy? If technical specs are our only consideration, I would say that it’s a toss-up between the THL T6S and the Zenfone 4 which are both equipped with impressive specs for the given budget, plus, they are both a thousand pesos below the Php 5K budget. But if we are to choose based on tech specs alone, there are better choices among the local brands because they offer more advanced hardware for the price. Another important reason that we are limiting our choices to the international brands is the assurance of getting a reliable device from a reputable brand. 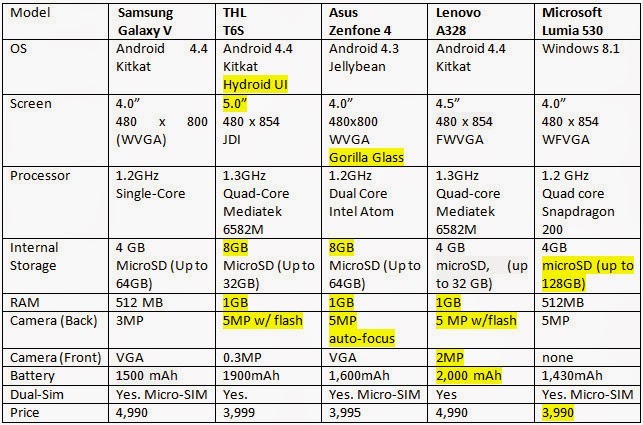 And for that, my personal choice would be the Samsung Galaxy V. Looking at the comparison table above, the Samsung Galaxy V did not lead in any of the specs, but it is definitely capable of performing basic tasks expected from a smartphone. If you're willing to spend Php 990 more than your 5K budget, you can have a 5-inch dual-sim Windows phone with an impressive 5 MegaPixel front-facing camera for selfies. More information about the Lumia 535. This is the stripped down version of the best-selling Zenfone 5, which is already significantly above our 5K budget. But this one still offers great value for its price. 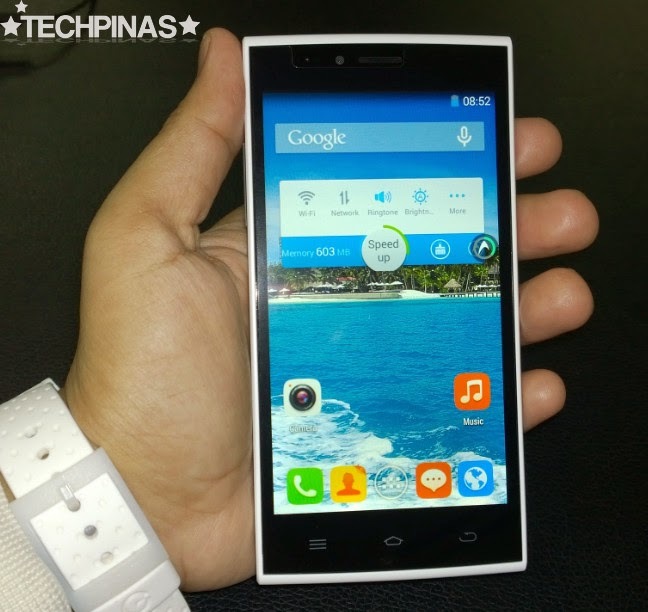 For Php 595 more, you have a 5.0” IPS Display phone that runs on Android 4.4 Kitkat, an 8MP Camera, and a large 2,500 battery. "Priced at only Php 5,995, O+ Grande sports a massive 6-inch HD IPS display that - according to the American company - was specifically designed to deliver a great movie viewing experience. (With such large display, the Grande is - needless to say - already a full-fledged phablet or a smartphone-tablet hybrid.) At the back, you'll find the phone's 5 MegaPixel autofocus camera with LED flash - that takes very decent shots - complemented by a non-BSI 2MP front cam for selfies. 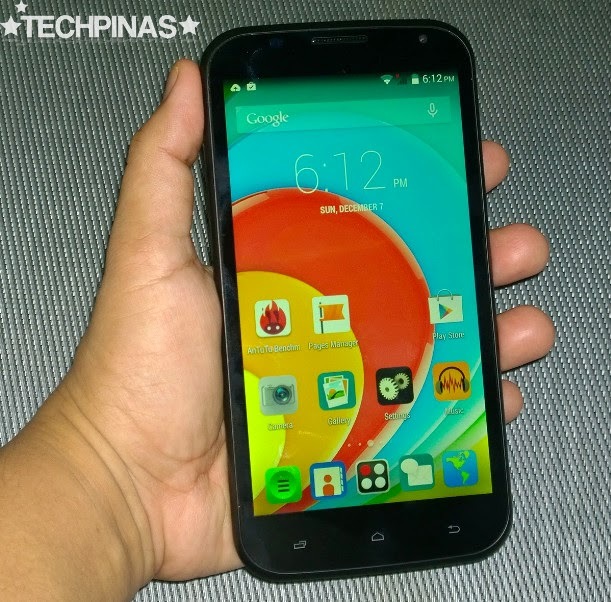 Did I miss any great smartphone that costs less than Php 5,000 by an international manufacturer? Which other cool releases should have been in this list? Let me know in the comments section below. 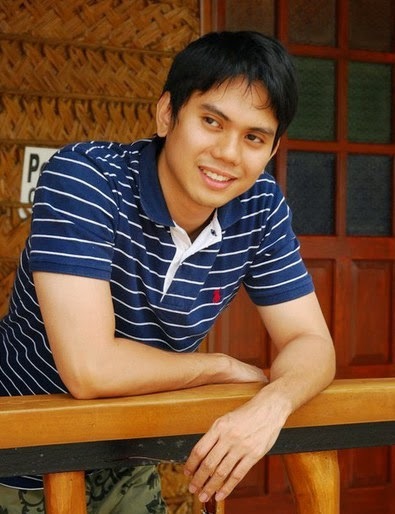 TechPinas Correspondent Mon Arguelles is a graduate of Environmental Management, a joint program of the Ateneo De Manila University and University of San Francisco. He’s currently taking up his MBA. He is a part-time professor and environmental researcher but considers being updated about the latest technological trends to be one of his favorite pastimes.